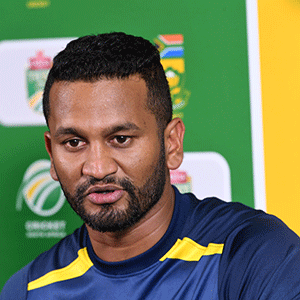 Colombo - Sri Lankan Test cricket captain Dimuth Karunaratne has been arrested and charged with driving under the influence of alcohol after an accident in the capital, police said on Sunday. Karunaratne, 30, was taken into custody following the pre-dawn accident that resulted in the driver of a three-wheel taxi being taken to hospital. "We have released him on personal bail, but he was asked to be in court on Monday for a magisterial inquiry," a police spokesperson said, adding that his vehicle was detained. The incident comes as Sri Lankan cricket officials mull who to name as captain of the one-day squad for the Cricket World Cup hosted by England and Wales from May 30. Karunaratne, who led Sri Lanka to a stunning Test series victory against South Africa last month, had been in the frame to lead the one-day side as well. Sri Lanka's cricket board said it would investigate the incident. "Sri Lanka Cricket will also follow the due process as per his 'Player Contractual Obligation' ... and conduct an inquiry in order to take necessary action," the board said in a statement.